Guys as you know recently I got myself a new computer, along with that I got myself a 250GB SATA ll drive. But due to some strange reasons (which god alone knows) it developed bad sectors. So I took it to Seagate service centre in Chennai. 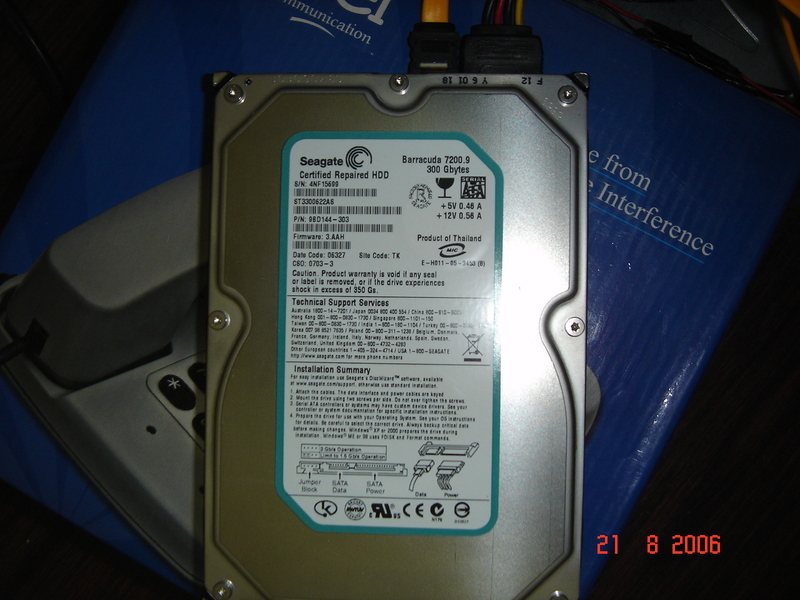 There I deposited my drive and got it after a week, but to my surprise they handed me a 300GB SATA ll drive. When asked why I was given 300GB instead of 250GB, I was told that there was no 250GB replacement hard disk so they gave me 300GB. For the past one week I was benchmarking and doing tests to make sure that there is no problem in this drive. I feel that lady luck is partly smiling at me.